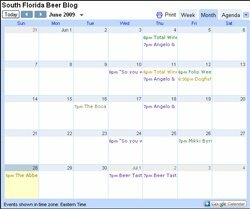 I know the people that read the blog love beer. I also like to think that the people reading the blog also have good hearts and like to help out others not as fortunate as themselves. Now what if I told you that you could enjoy beer while helping others. 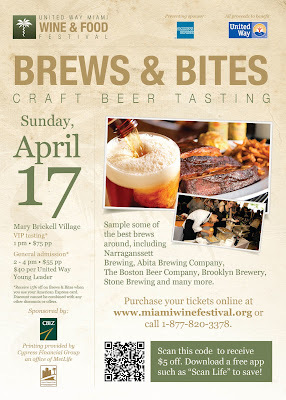 The people from the Untied Way have seen the rise of craft beer and have seen it as a great way to raise some money by offering this years Brews & Bites event being held Sunday, April 17th at Mary Brickell Village in Miami. Guests will sample some craft brews from around the world at dozens of different tasting stations. 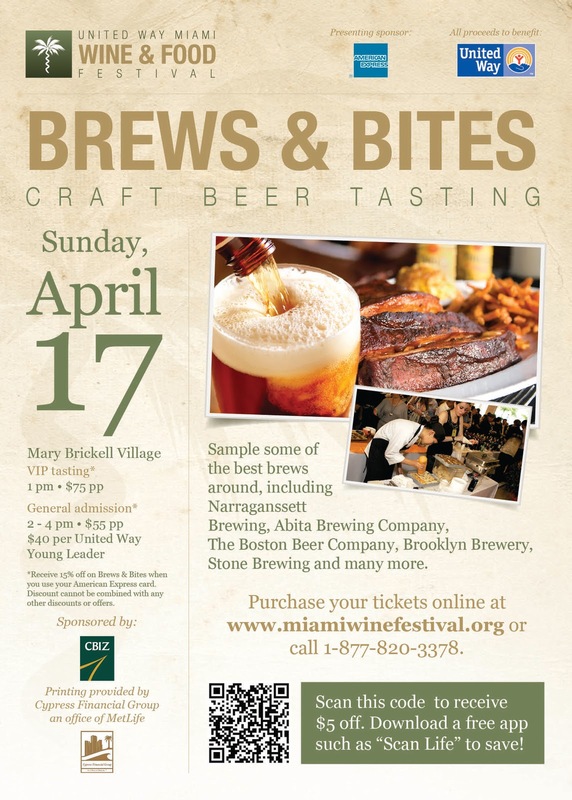 Admission to the event includes a commemorative tasting cup, beer tasting, beer-friendly food from South Florida’s favorite establishments. If that wasn't enough live music will be provided by one of Miami's best bands, The Spam Allstars. The event will run you $55 for general admission and $75 for the hour long VIP tasting before the event. You can buy tickets by clicking here. The United Way is also hosting a bunch of other great events during the week with Brews & Bites being the closing event. If are a fan of great food and enjoy some fine wines you should check out on their events pages here. If you have some money to donate and would like to get some great food and drinks these are some premier events to attend.